Having built a farm in Minecraft PE, you can collect eggs and milk cows to then bake a delicious cake or pie. As you can see there are not many dishes and every cook would like to diversify the food in the game. The Eat the Eggs mod allows you to try new appetizing dishes, the main ingredient of which is the egg. 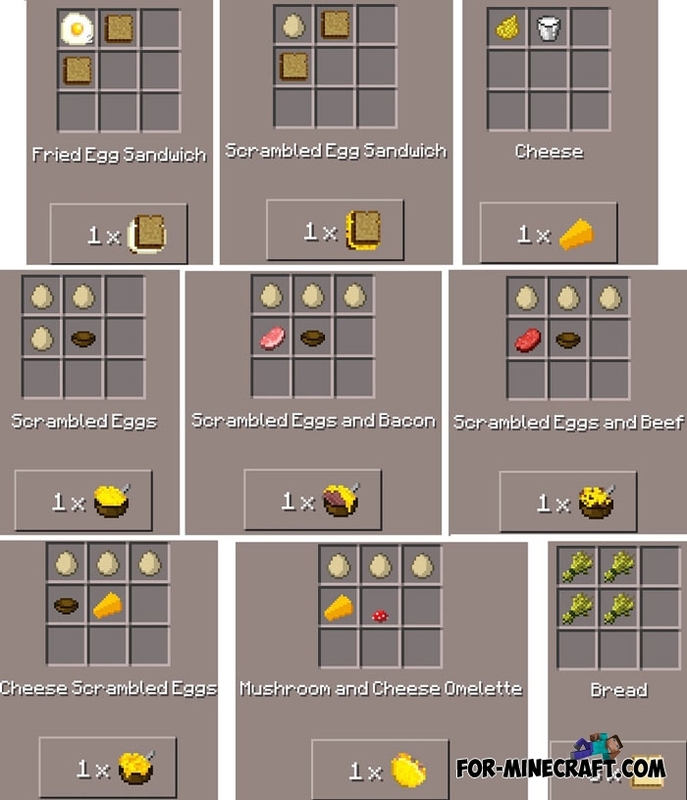 There are 11 new food and recipes for them. 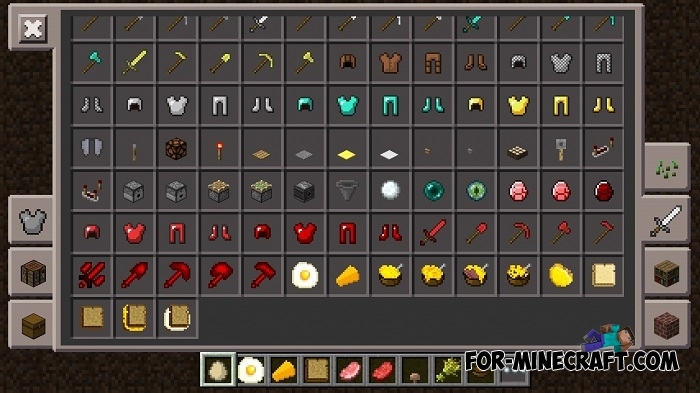 You will need a crafting table and furnace to try all the food you can cook in Eat the Eggs. How to install the Eat the Eggs mod? Download and install Inner Core. 2. Copy the Eat the Eggs folder here: games/com.mojang/mods.